Do you ever find yourself suppressing the guilt and pain of disposing a tray full of food that you thought you might eat but you did not? Do you wonder what happens to that food? Do you wonder what you can do to make sure everything on your plate is consumed in a meaningful way the next time around? Food wastage has always been a very big topic of discussion at the school. 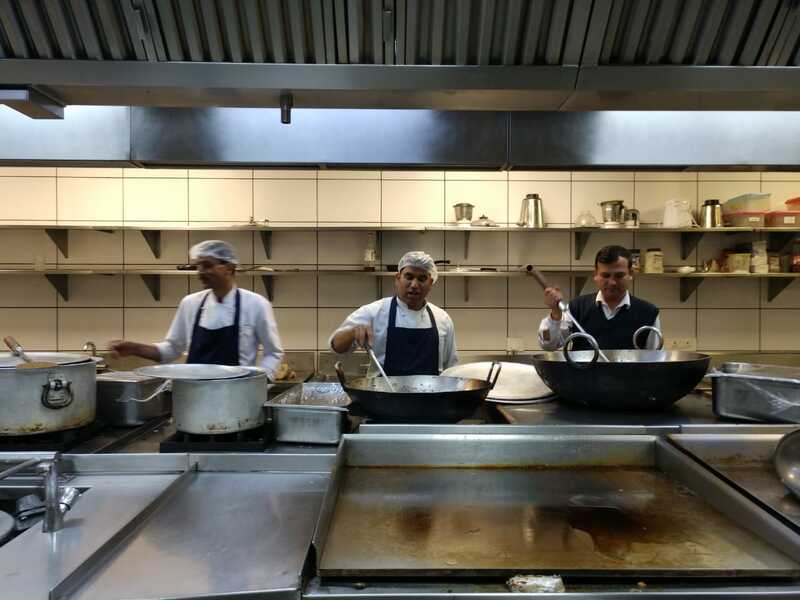 After all, the kitchen produces about 500 kilograms of food every day that feeds an average of 630 people according to Mr. Amit Thakur, kitchen supervisor. According to Mr. Thakur, each item on the school menu is weighed and “food is brought in daily and used daily.” This helps the kitchen avoid any unnecessary waste. However, not all that food is consumed in the way that the kitchen hopes it would be. Currently, wasted food is being taken to a landfill near Dehradun where it rots and adds to gas emissions. The kitchen faces many challenges in its attempts to curtail the amount of food that ends up in the garbage. Mr. Thakur and his team get an estimated number of how many people will show up for every meal. However, there is always an uninformed number of people who either do or do not show up to eat in the dining room every day. In situations where food is left over, Mr. Thakur and his team try their best to reuse the food items such as “frozen chicken,” which can be consumed later during another meal. Mr. Thakur said, “We can reuse the untouched food because we have good packing facilities in the kitchen.” There are items which cannot be reused because they might become stale, and therefore must be thrown away. However, students at school are not too comfortable eating food that is reused from a previous meal. Hassakol Panaspraipong, Class of 2019, said that he is “not fine” with eating reused food. Furthermore, he even added that he would “feel offended.” However, Panaspraipong thinks it is alright to use the food that hasn’t been cooked, such as vegetables. Opinions like these often bring forth questions regarding the menu and what initiatives are being undertaken to better fit the preferences of school. Dr. Sonali Garg, economics teacher, ruled out adapting the menu according to preferences as a method of curtailing food waste. She said, “My choice may not be everybody else’s choice [it] might lead to more [wastage].” She added that she has “never received any such inquiry” about her preferences from the menu reps as the students do. “It would help if they asked the teachers,” she said. Meanwhile, Kim suggested that “decreasing the quantities of food that people don’t really eat would be helpful.” But even though the community has made suggestions regarding their food choices, given the size of the school, preferences differ greatly, ultimately leading the kitchen to a stalemate. The kitchen’s problems aren’t only related to food supplies. People are also the cause of many problems for the kitchen. That is not all; the kitchen has some of its own structural problems that lead to food wastage. Mr. Thakur said that the shortage of staff managing the new and lavish but big dining room os another factor that leads to food wastage. “Now the kitchen staff has more work because of the new dining room, so it’s hard to get the employees to serve. The people serve themselves very big quantities and then they throw it away when they can’t eat it,” Mr. Thakur said. However, despite the persisting problems, Mr. Thakur is convinced that the food wastage can be reduced if there are certain rules and general habits that everybody at school follows. The first and the most obvious suggestion he gave is that everybody should take reasonable first-servings and then go back for second-servings if needed. “We have no problem in serving you as many times as you would like, however, everybody should take reasonable first servings,” Mr. Thakur said. Hopefully, with such suggestions, the school community can reflect on how to curtail food waste to fulfil one of the school’s five principles: to tread lightly on the earth.